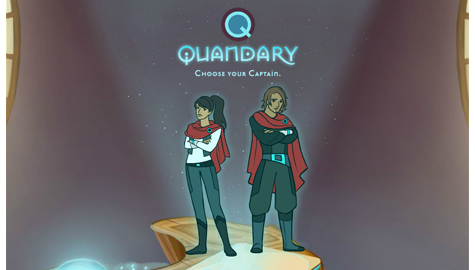 Explore the many wonderful and creative ways Quandary is being used in and out of classrooms. 7th and 9th grade English teacher, John Fallon, explains how Quandary helps his students differentiate facts from opinions, understand others' perspectives, and reflect on their decisions. Cathy explains how Quandary developed an appreciation by her students of how to work together as a team to tackle situations where there are no easy right or wrong answers. How have you used Quandary? We'd love to feature you here. Contact us and tell us how you've used Quandary. Watch the trailer to discover what Quandary is all about.